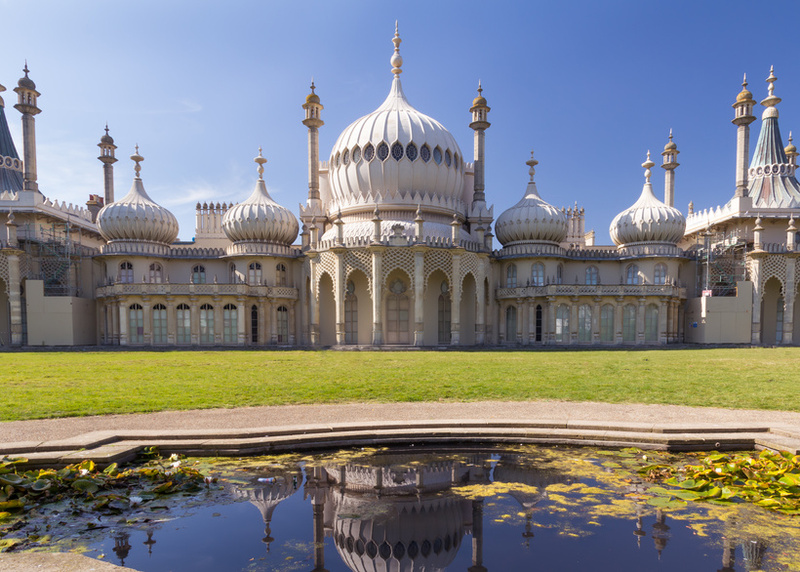 The Royal Pavilion is a former royal residence located in Brighton (UK), a delightful city perhaps little known by the mass tourism, but certainly worth a visit. The city stands on the sea and is famous for a beautiful pier full of funfairs, typical restaurants and arcade halls. Among the many attractions found in the city is the Royal Pavilion which is certainly the most famous. This villa has an ancient history: it was commissioned by King George IV who, legend has it, was so fascinated by the Arabian Nights tales that he wanted to give his house an Oriental air. The exterior is fascinating: surrounded by a beautiful park, the villa has fine Gothic columns, that have changed over the years as a result of many renovations, until they get to the typically Indian style that we can still see today. Even the rooms have a decidedly Eastern flavor and are beautiful to visit. In particular, the dining room chandeliers are worthy of being photographed. How to photograph the Royal Pavilion? Here’s some advice. Optics: Shooting with wide-angle lens or with telephoto lens’s focal length provides different perspectives. The wide-angle gives the architecture much more of a sense of prominence than a telephoto lens. The latter is more suitable for enlarge significant details, or to enhance the volume and the play of masses. (The proper use of focal lengths also derives from the notions of architecture owned by the photographer). Obviously, to get sufficient depth of field the diaphragm has to be closed to the maximum. The best automatic exposure mode for architecture photography, is Aperture Priority, indicated with the letter A. This gives the photographer the choice of the most appropriate aperture diaphragm that must be as close as possible, with values ​​between f/11 and f/22 . Pay attention to light: Natural lighting (sunlight) is the one that hits the subject from the side or at a 45-degree angle. Unfortunately, this situation occurs very rarely. Make a virtue of necessity and look for the more suitable shooting point and subject starting from the existing lighting. At midday the blazing sun is not good for location shooting, but it is the best for interiors as you can use the light that comes from windows.